"Devon's biggest day out" is how the Devon County Show advertises itself via its website, and we couldn't agree more. Staged at Westpoint in Exeter, enjoy a giant celebration of country life through country competitions, local food and drink, traditional entertainment and masses of crafts. Originally a farming show, the event has grown into so much more. It's still an agricultural show with farming at its heart, where everyone can come to see livestock, the latest in farm machinery and equipment and share everything else that makes up life on a farm. But then on top of that are so many more elements to enjoy. Food and drink make up a big part of the day as Devon farmers, shops and factories come to sell their delicious local produce. 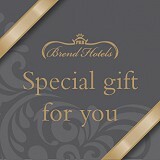 Also, Brend Hotels, a collection of hotels in the South West that includes The Victoria, will have stands near the food tent. They will be offering an exclusive discount on bookings made that weekend. If you'll be attending make sure you find the Brend group to get reduced rooms for your next stay with us. Exeter gets busy with visitors over the Devon County Show weekend, which is understandable as it's the closest city. For accommodation, avoid the crowds and travel away from the Westpoint Arena in the opposite direction to Sidmouth. We're roughly the same distance away but on the beautiful south Devon coast, in a quiet spot by the sea. Check availability and book, call us on 01395 512651.